Review: Jade has a secret she has hidden from everyone, including her mother. See, Jade can see ghosts, and usually they are not very nice. But her secret is about to come out because Jade’s mother will soon marry after a divorce, and the new house they are living in is haunted. To make matters worse for the 16-year-old, her soon-to-be stepbrother is also the boy she has a huge crush on – and the feelings are mutual. Yep, Jade’s home life is decidedly complicated. As Jade and Charlie sleep across the hall from each other, Jade has nightmares about the ghost haunting her new Nantucket home. After a few nights of torturous sleep, Charlie rushes to her side and eventually gets Jade to confide in him. Although, hearing that someone can see ghosts can be a bit difficult to understand, and, initially, Charlie doesn’t believe Jade. And this is Jade’s biggest fear – that everyone will think she is crazy and lock her in a loony bin. While Ever Near could feel like a tellanovella at times with almost-step siblings falling for each, the pain and anguish Jade felt seemed real. Her despair, fear and love were vivid on the pages of Ever Near, allowing readers to slip inside Jade’s mind through this crazy ride. Even though Jade knows about her ability, it isn’t until this ghost enters her life that she learns more about her true nature and why she has this ability. Review: Dating your stepbrother could be … weird. And it’s an issue with Jade’s mother and stepfather when their children start dating – even if it’s before they got married. They finally find a fix by sending her to live with her father off Nantucket Island and away from her boyfriend Charlie. Jade attends a private school, but things aren’t much easier for her in her new town. There is a ghost in her school, and only Jade could see it. If it didn’t seem that she just wanted to come home, perhaps telling her parents about it would have been easer and they may have helped her. Instead, she gets into trouble the way it seems only 16-year-olds know how. Melissa MacVicar does a great job of making Jade relatable even if she has a power that we cannot understand – seeing ghosts. She appeals to the emotions we all felt as teenagers such as young love, heartache and loneliness. We’re introduced to a few new characters in Ever Lost such as Jade’s father, Mateo, and Noemie. Mateo is a handsome schoolmate who Jade feels drawn to despite her feelings for Charlie. Noemie is a medium who is becoming Jade’s mentor to help her deal with her power. 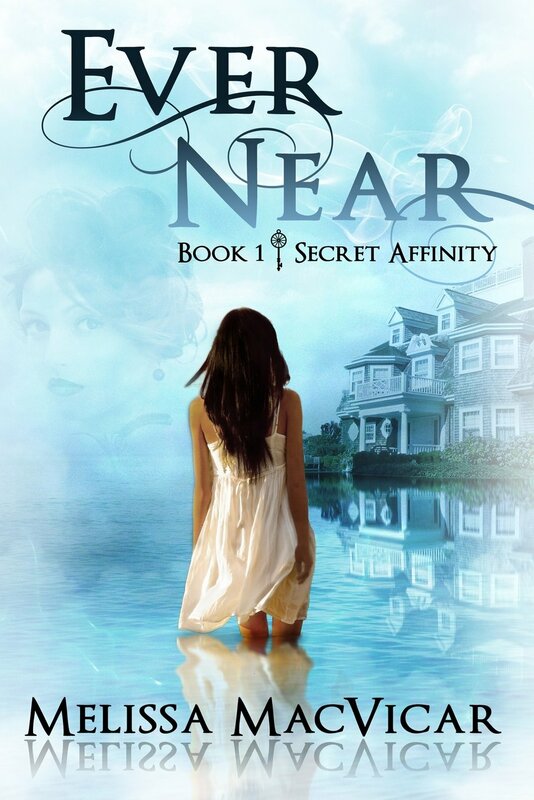 While the story involved ghosts, it’s different than Ever Near, the first book in the Secret Affinity series. This time, Jade is contending with a recent ghost, a teacher that died in a supposed drowning months earlier from Layton Academy. So to send his ghost to the other side, Jade has to deal with real people and find the source of the teacher’s death. This puts Jade’s life in danger as she searches for answers. Her problems have gotten bigger than ghosts possessing her but now include people desperate to keep a deadly secret. 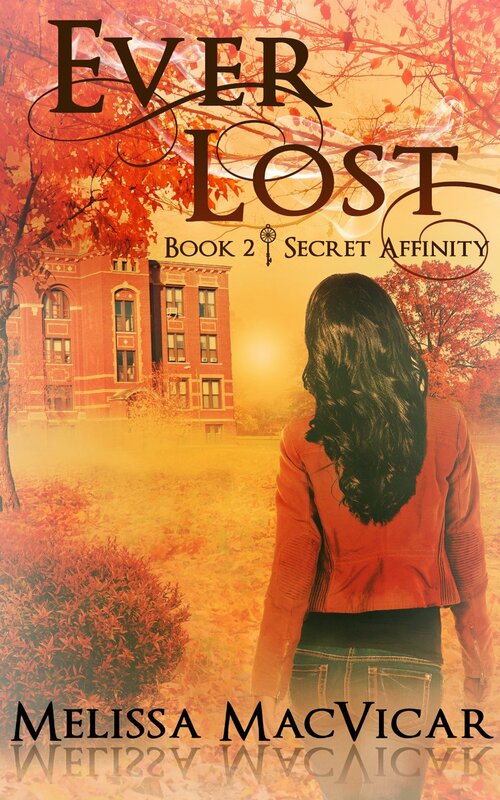 Ever Lost was a great second installment in the series. The new relationships are intriguing and I look forward to seeing how Jade will grow in her new environment.